I have been wanting to do something like this for awhile. It is just an extremely minuscule snapshot of what gets posted in support groups for Eczema, Red Skin Syndrome, or Topical Steroid Withdrawal. Many professionals, who are meant to care for a patient, fall (very) short when it comes to speaking about adverse affects with steroids. It is egregious the way some patients are treated in a doctor’s office. To be laughed at is already demeaning towards someone who is ACTUALLY trying to inform you of a very serious and highly factual condition, but then, as a professional, negate that it is real… this is where the problem lies. We are told to trust in our doctors and that whenever we have a question or concern, they are who we should be going to. BUT, what if our professionals don’t know it all? Red Skin Syndrome is not a joke and certainly isn’t a laughing matter. To be completely written off and spoken down to while the patient was the one who really knew the truth, is astounding. We should not be having to stick up for ourselves at any medical facility. We are going through enough physically and mentally. Most don’t even try to go to doctors anymore because they are tired of being made fun of when they should be getting the care they deserve and need. 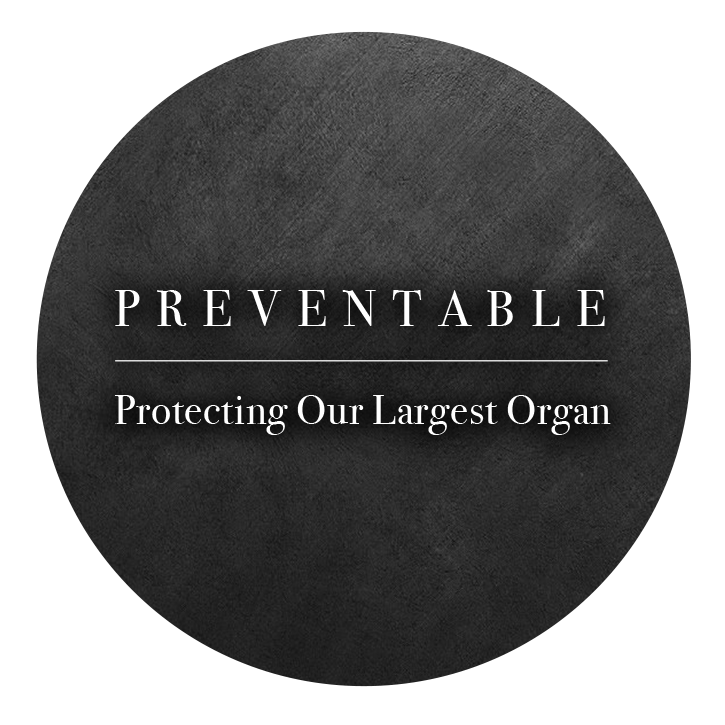 Preventable: Protecting Our Largest Organ will help doctors understand the seriousness behind this condition and how they have it in their power to stop this from ever happening again. “They told me I would have to use this for life.” And we are called steroid phobic because…? How outrageous to tell a patient that THIS is the only way to help them. It states it clearly on the inserts that this SHOULD NOT be used for long periods of time. To tell a patient that the health of their skin depends on this drug forever is not only an ill educated prescription, but a lack understanding of what these are truly capable of doing. Preventable: Protecting Our Largest Organ will help disseminate correct information about topical steroids and what they are doing not only on the surface of our skin for long periods of time (even 2 weeks! ), but what they are doing to the inside of our bodies as well. Here in lies the problem with Western medicine. They have ONE go to when it comes to skin ailments. Most will stick to that one trick. You most certainly have a chance of getting better without steroids. The problem is that they are taught that only one method, which is meant to help mask symptoms, not offer a healing change towards the cause of your symptoms, works. Now, we do have a few other options, but in my opinion, they are still either so new we don’t have any knowledge on the damage it could also be doing and/or we know the drug is dangerous and comes with risks just like steroids do. But I see in so many posts how doctors asks patients ‘why did you bother coming in if you weren’t going to take the steroids?’ We are paying for their services and care and yet are being treated as if we’ve wasted their time. Perhaps we were hoping for more than just ‘here are some steroids’. It just simply is not acceptable anymore for this to continue to happen. Preventable: Protecting Our Largest Organ will shatter this opinion of topical steroids are the only method to treat eczema. We have so much new technology and medical advancements that we have the power to truly find out what is causing our skin to lose control. We can test for allergies, irritants, gut problems, stress issues, autoimmune disorders… we can’t go on just nonsensically masking our problems with a medication for long periods of time that can actually cause us detrimental harm in the long run. Again, this type of condescension is not helpful nor is it particularly kind. Other posts I tend to see are heartbreaking, ones crying out in desperation as to why this is happening to them. They are losing their jobs, their relationships, their family… ALL from a preventable condition. This has got to end. And we can do it. If anyone feels moved by this project and wants to help this type of suffering, please visit the sponsorship link above for a tax deductible contribution, or visit the donation link above if you do not need a tax receipt. What is your favorite product for comfort? DSS (Dead Sea Salt) baths with a couple drops of Tea tree got me through the worst of it. Spent SO MANY HOURS in the bathtub, sought refuge in the bathtub everyday. I’m a MW (moisture-withdrawal) person so I never messed with creams & lotions much after embarking on TSW. What is the hardest thing to deal with during this condition? TSW is crippling, it robs us of our precious time here on earth and alienates us from society. I am a changed person forevermore. I am humbled. I feel like I have always had a great capacity for empathy and caring but this experience has brought me to a whole new level. What is the first thing you will do when healed? I am going back to school to get my teaching license for Art k-12. My skin condition (TSA) has ruled my life for far too long and I feel like once my withdrawal is complete I can move on with my life for the first time in YEARS. What is the hardest thing to deal with during this condition? The unrelenting severe pain and depression, not being able to mentally cope. What is the first thing you will do when healed? I went on holiday and swam and got a tan! What type did you use: I can’t remember every kind. I’ve been using for 29 years: hydrocortisone, prednisone, clobetasol, betamethasone, Elidel, Mometasone Furoate and tons of injected immunosuppresants like Bethaduo and Ciclosporine. What is your favorite product for comfort? It changes, but lavender essential oil has helped as sleeping aid (I put it in my feet every night), zinc oxide when oozing and lately a spray called MR. Wheatgrass that I put on my skin when I get out of the shower and reapply every time I feel dry. Any other moisturizer, whether it’s a cream or oil, burns. What is the hardest thing to deal with during this condition? Having the symptoms of the shivers, the oozing, the no sleep, the crazy diets stopping my life. What is the first thing you are going to do when you are healed? Jump in the ocean, work out and dance without worrying about my sweat burning. Start working again! I became a therapist in the process 🙂 I want to help others. What is your favorite product for comfort? Zinc balm and ice packs! What is the first thing you are going to do when you are healed? I’m going to do everything I had to put on hold! I want to start working again, I want to go back to uni and get my masters, and I want to travel to Europe with my boyfriend!